Although the summer is almost over, it does not mean that you have to gain back the pounds you lost with so much effort. Luckily, there are various weight loss methods that you can choose from right now. Although this exercise seems very easy to perform at first, you will find it a bit more difficult after approximately 20 repetitions. Take a standing position with one leg in front of the other and the back heel lifted off the ground. Do a lunge and turn your body to the opposite side. Hold the resistance band and stretch it when doing the lunge. Go back to the initial position and repeat the same movements by bringing the other leg in front. Have you ever seen a ballerina doing a plie? This is what you will do while performing this exercise. Stand with your legs close and hold your arms up in the air, holding the resistance band stretched in your hands, parallel to the ground. Step to the right side and bend your knees in order to reach a plie pose, which is just like a lateral squat. At the same time, bring your arms in front of your chest and stretch the band as wide as possible. Go back to the initial position and repeat 15 times. This is the perfect exercise if you want to lose weight in the upper side of your body. 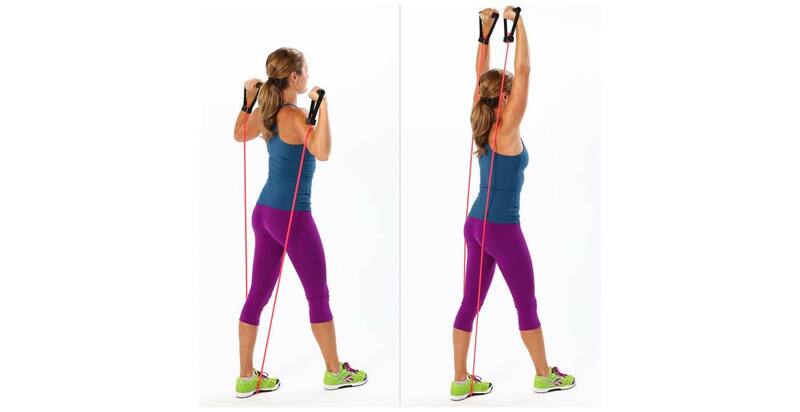 You might think that it is one of the easiest so far and you don’t even need a resistance band, but you are wrong. What you need to do to perform this exercise is to take your normal push-up position and wrap your back with the band, placing its ends underneath your hands. Only then you can start doing some real push-ups that will help you burn the unwanted fat. In order to perform this exercise, you must stand with your legs two feet apart, place the resistance band under your feet and hold its ends in your hands. Then, simply squat all the way down as you would do a normal squat. Your hands should reach the level of your shoulders when doing the squat. Next, straighten your legs, but maintain the level of your arms. Repeat at least 20 times. 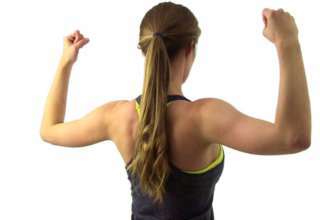 This exercise is exactly like the one above, with the only difference that this time; your arms must go entirely up in the air when getting back to the standing position. Therefore, keep your hands at the shoulders’ level when squatting and bring them overhead when rising. Do these exercises regularly and improvise some more if you feel like you could still train after finishing them and you will see a difference in less than one month.